Born without sight, Smiley serves up a smile and hope to those who need it most! Bright and perky therapy dogs are a common sight at many nursing homes. They bring a smile to the faces of those no longer able to communicate and joy to the hearts of care-givers. But what if said therapy dog was himself afflicted with many of the same ailments suffered by his senior clientele? Enter “Smiley”, a therapy dog extraordinaire who not only relates to aging (84 in dog years) but vision loss, as he is completely blind. In fact, this gentle Golden was born without eyes and suffering from dwarfism – a double death sentence when home is a puppy mill. But fate was kind to this sweet boy as a rescue shortly after his second birthday brought him to his current home and to a career with St. John Ambulance Therapy Dog program who credit him with changing the lives of hundreds of men, women and children. 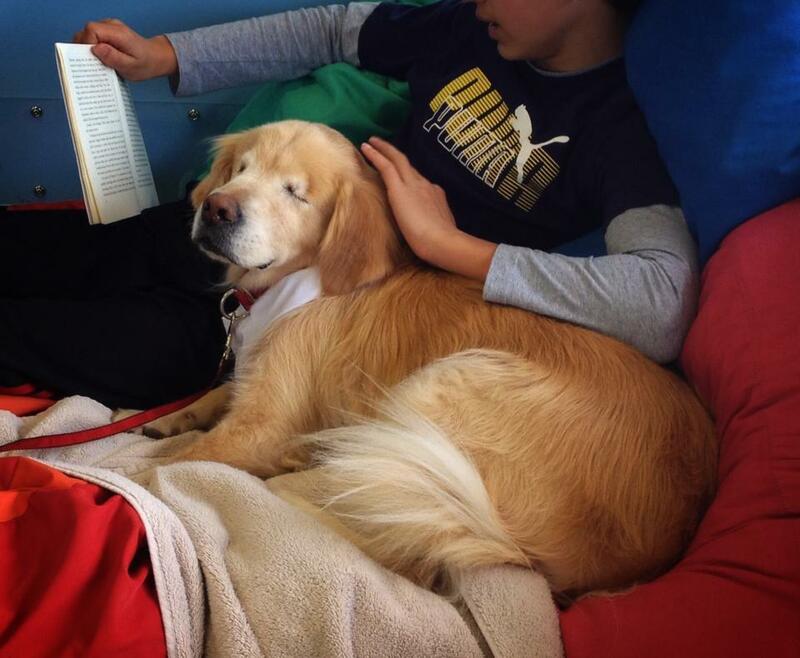 In addition to his retirement home duties, Smiley joins special needs kids at library reading programs demonstrating first-hand (or paw) that they shouldn’t dwell on their disability, where you come from or what happened to you as a child. And at 12, Smiley shows little interest in slowing down.